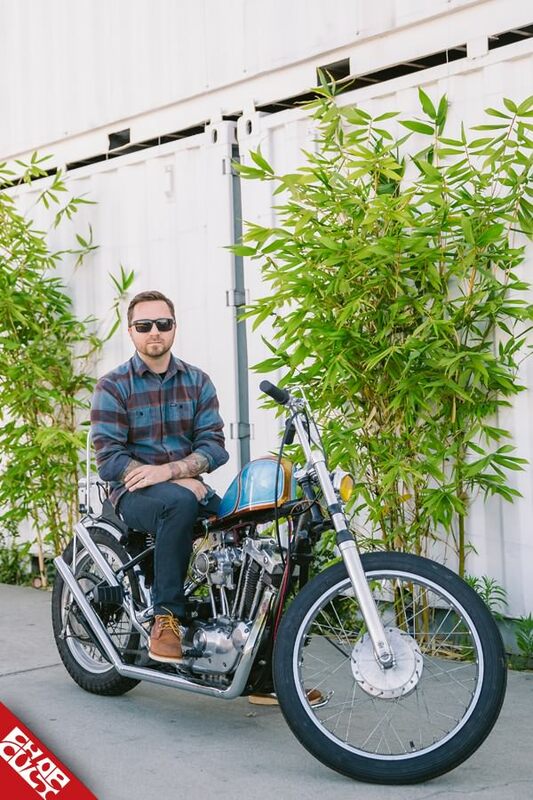 Instagram has opened a new world for the motorcycle enthusiasts in us all. Our days used to start with a run through the forums and check out ever-popular blogs. Now everyone's on their phones getting thumb injuries hitting that damn like button. As most of you know, we cross promote with our advertisers through our social media outlets. 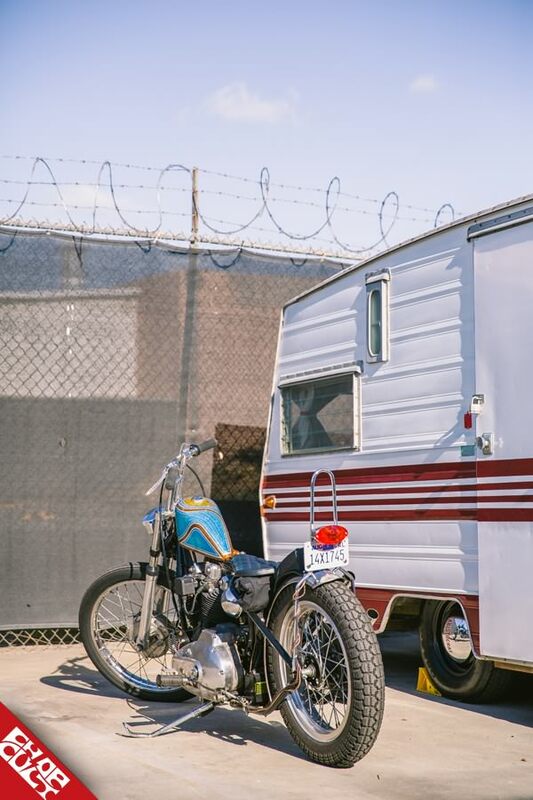 I was instantly intrigued with Dave Richardson's 73 Sportster when Bison Motorsports showcased it on their Instagram account. Dave and Eric Konetzny, co-owner of Bison Motorsports, are very good friends, and Eric helped Dave with the fabrication along the way. I love the end results! Next modification will be: Maybe lengthen the forks, change the bars, new seat. I like to change things up every once in a while. Thanks to: Eric at Bison Motorsports, www.bisonmotorsports.com, for taking my vision and making it come to fruition, my brother Dale for the custom paint job and always being there to help me, my wife Sandy for putting up with my never-ending obsession with vintage motorcycles, and of course ChopCult for the feature! 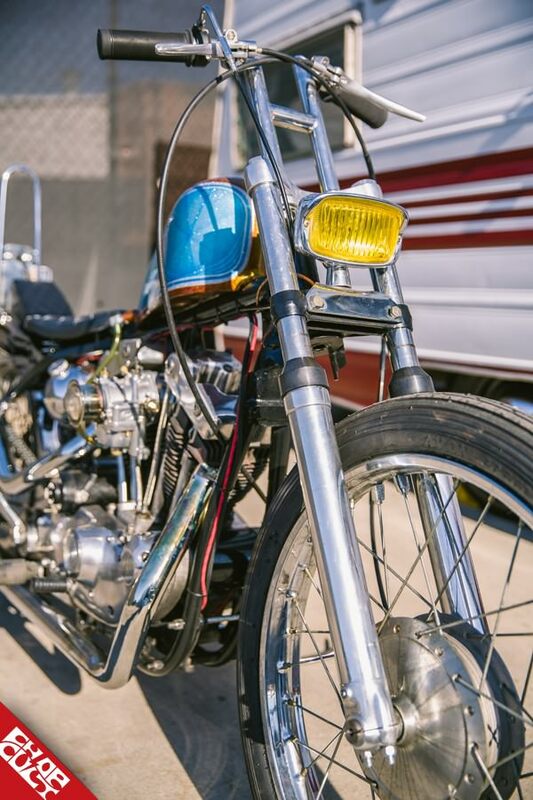 Another amazing Ironhead build! Great job! Great looking bike, looks like a lot of fun! who carries that pirelli repop tires???? jlow, the pipes are custom made...don't think anyone sells them pre-made like this.